It all began for me in a salt cave in Berchtesgaden, Germany called Salzheilstollen. 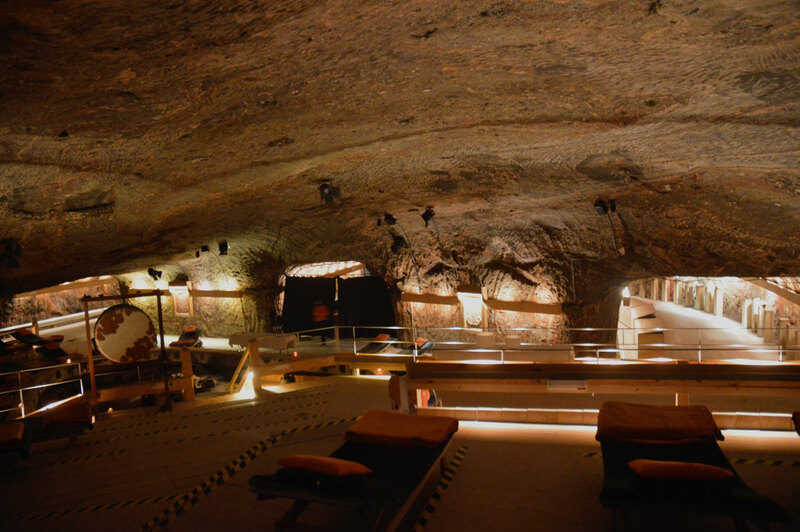 This salt cave was built as a healing space by a team of physicians. After spending 2 hours on the side of a mountain, surrounded by a dome of salt, I felt an immediate sense of well-being. I began to realize why these doctors decided to pool their money together to develop this place. I soon realized that this was the medium I would focus on for my first product with Circle Wellness Studios. Since sourcing the salt from Germany was astronomically expensive, I decided to move forward with sourcing a similar style of salt from Pakistan: pink Himalayan salt. Within the two years of prototyping the flagship Circle Wellness Studios product, I was astounded and reassured by the many benefits of using salt in the walls. Himalayan salt is gaining popularity in numerous applications. Not only are people consuming it instead of table salt, they are also being used as decor in restaurants, hotels, spas, and homes. 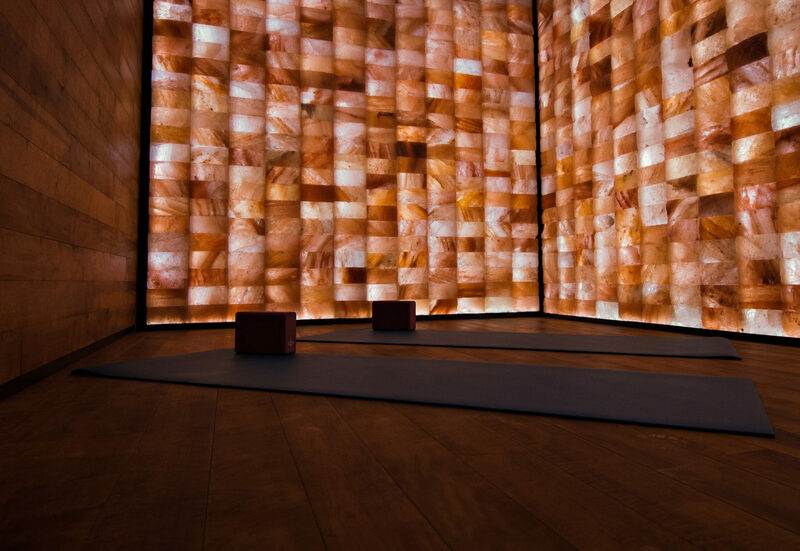 Why Use Himalayan Salt for a Wellness Space? Salt has sterilizing effects on the air and reduces moisture, dust, allergens, and pollutants. It is anti-bacterial, anti-fungal, and it neutralizes odours quickly. Heating salt creates negative ions, which help the body to absorb and utilize oxygen, strengthen the immune system, and elevate the mood and energy levels by helping to metabolize serotonin. Himalayan salt contains 86 minerals and trace elements that can be utilized by the human body when absorbed topically or ingested. When direct contact is made with the salt, the skin absorbs minerals, especially when the pores are open from heat. Topically, salt can help relieve and treat skin conditions such as eczema and other rashes. When dense salt bricks are heated, it acts as a thermal mass, which increases heat efficiency and insulation value. As we have used in the flagship wellness studio, rigid and unpolished finish on the face of the bricks allows us to support body weight and explore modified inversions. When installed in a dry environment, it needs zero maintenance. With all this being said, it is an obvious choice for Circle Wellness Studios to use salt in our products. If you have a chance to use raw, unrefined salt in any application, you get the thumbs up from me. Just don’t install the stuff outdoors in the elements, because it’s sure to melt like the guys face in Raider of the lost ark.